Are you all ready for Diwali? I am so not ready this year.. Trying my best to keep up with it. Looking for a dessert for your Diwali get together? 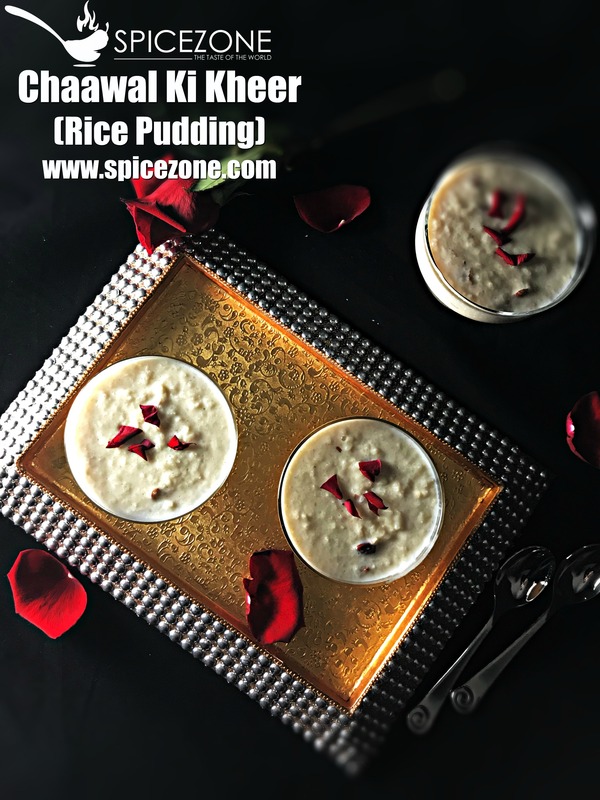 Chaawal ki Kheer (Rice Pudding) needs no introduction and is easy to make for a big group of people. And for the most part of it everyone likes it. I just love kheer but it has to be done right. My father doesn't like kheer at all, don't understand why. 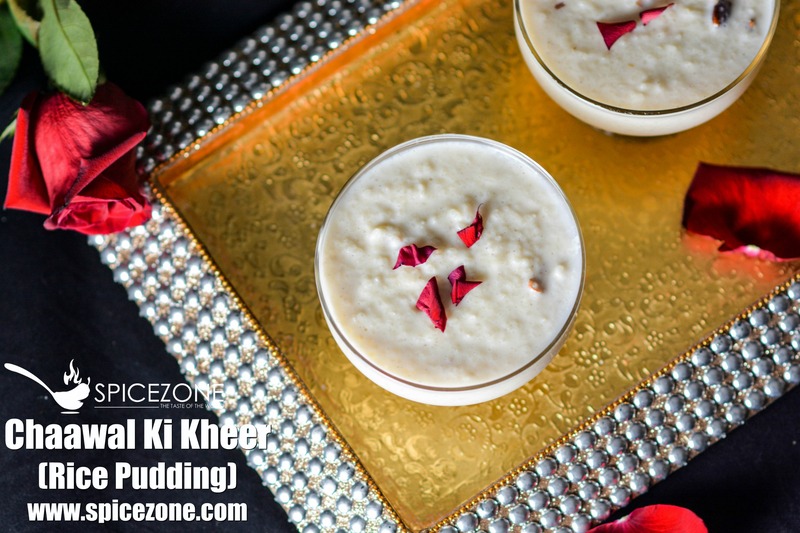 I like my kheer chilled…how about you? 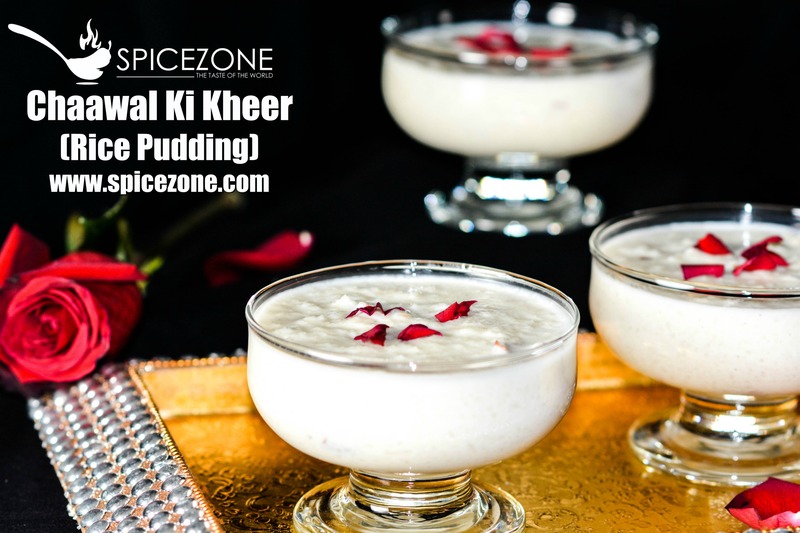 It gives the kheer a total different taste I think…Do you agree with me. Aight let's get to the recipe. I hope you all enjoy it as much as me and my family did…. In a big pot pour the gallon of milk. If using a steel pot, don't forget to put a little bit of water first, it will help so that the milk doesn't stick at the bottom. Wash the basmati rice thoroughly until the water is clear. Add rice, sugar to the milk. Let it boil on the high flame, stirring continuously to avoid sticking or burning. Once it is boiled for few mins on high, bring the flame down and let it boil. You will see that the rice started to get softened. and puffy. Check the sugar if needed add more. I let it cook on the gas for 20-25 mins and then transfer in to the slow cooker on a low heat for an hour to hour and a half so that I don't have to keep stirring. You still have to stir a couple of times in between. Add the elaichi powder to it and mix it. Add the chopped almonds and let it cook for a few mins more. Once done add the rose essence and give it a mix. Garnish it with additional nuts. Serve it chilled or warm as per your taste. Also try my kheer made with same seeds Parsai Ke Chaawal ki kheer. 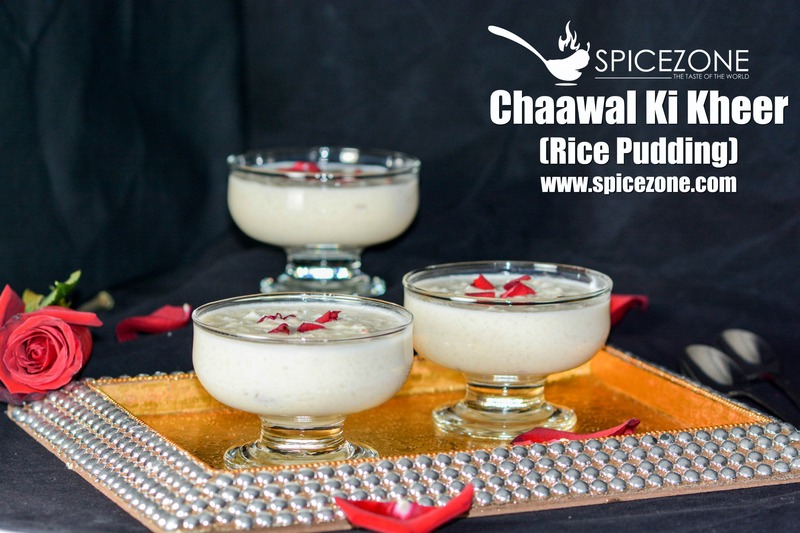 Chaawal ki Kheer (Rice Pudding), an easy dessert for your next Diwali party which will guaranteed be a show stopper. Try it for yourself and see..